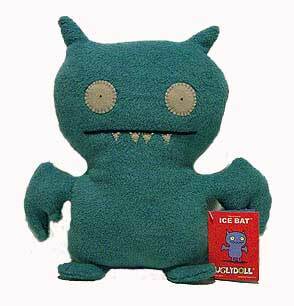 Description Of Item: Ice Bat lives in an ice cave inside an icebox. Anything he touches turns to ice?yet he warms your heart! Ice Bat is lookin? to chill with you. He wants to sit next to your computer (which is also frozen) and hang out. Ice Bat wants to go with you. Why? He thinks you are cool.